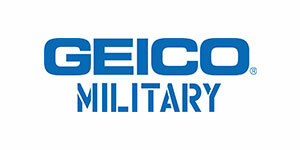 The Army Women’s Foundation is thankful for the continued support of our Corporate Sponsors! The Army Women’s Foundation works with corporations who honor the service and sacrifice of the women who volunteer to serve our country through the U.S. Army. Together, we preserve our women soldiers’ place in military history, and help them achieve success in the Army and after their service. 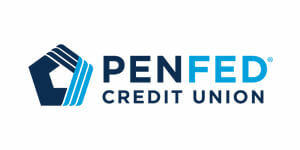 Our partners provide both in-kind and monetary donations. Their commitment to us is essential to fulfilling the Army Women’s Foundation mission. We are very grateful for their support. To learn more about how your company might help Army women through corporate sponsorship opportunities, contact us at Development@awfdn.org, or call 804-734-3078. The Army Women’s Foundation’s Legacy Scholarship program recognizes the importance of education and helping recipients to achieve their educational goals. The Legacy Scholarship program offers financial support to Army women and their lineal descendants in four areas including Certificate programs, Community College coursework, Undergraduate Degrees, and Graduate Degrees. 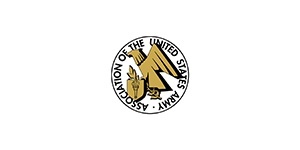 The Foundation is currently announcing our eighth class of Legacy Scholarship Awardees who exemplify the standards and qualities instilled by Army values. The scholarship program has grown from awarding two scholarships during the first year to thirty eight. Without the assistance of our sponsors and partners, the rapid growth of this worthwhile program would not have been possible and we are grateful for your continued support! The U.S. Army Women’s Foundation is the premier center for educational excellence, the national network for today’s Army women, and a dynamic advocate for telling the history of Army women. The Foundation is a private, non-profit 501(c)(3) organization originally established in 1969. The mission of the U.S. Army Women’s Foundation is to promote public interest in the Army and the women who serve in the Army. 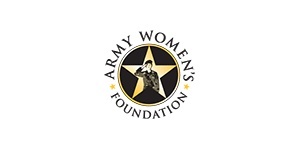 Through programs, research and scholarships, the Foundation recognizes and honors the service of Army women and supports the U.S. Army Women’s Museum located at Fort Lee, Virginia. 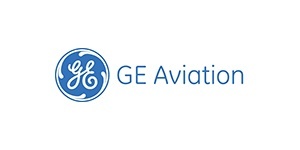 GE Aviation is honored to join the U.S. Army Woman’s Foundation to salute the legacy of leadership women play in securing peace around the world. Our commitment is underscored by an expansive network of programs that include research, scholarships, training, job placement, career counseling and charitable work, as well as programs that help ease the transition into civilian life. GE’s Women’s Network is a forum for professional development dedicated to enabling growth, developing world-class leaders and strengthening communities. Spanning small mentoring groups to active engagement with academia, the Women’s Network boasts close to 4,000 global events with more than 140,000 attendees. In addition, our Veteran’s Network — with over 10,000 employees — offers a community that supports, hires and grows veterans and their families while providing meaningful and fulfilling careers. With more than 100 units across the country, we provide programs that are impactful through volunteering, and transition programs. We look forward to building on this solid platform of success and salute all who are in attendance today. Like the U.S. Army Women’s Foundation, L-3 Communications recognizes the essential leadership role women in uniform play in keeping our nation secure and promoting freedom across the globe. 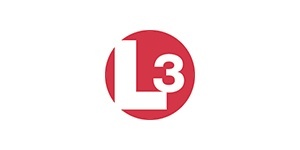 L-3 is honored to support those serving on active duty, reservists and veterans through our military relations committees, career fairs, transition assistance programs and veterans’ initiatives in the communities where we live and work. Our talented workforce, which includes thousands of current and ex-military professionals, makes us a diverse and leading provider of advanced technologies and innovations for both military and commercial end-users. It is through hiring, educating and retaining the talented and dedicated individuals who serve in uniform at home and abroad that we are able to remain committed to preserving our nation’s security. We look forward to building on our broad support of servicewomen and men by continuing our heritage of career development, charitable work, financial hardship support, employment counseling and engagement in veterans’ issues. L-3 is indeed proud to work with the USAWF in its educational initiatives that improve the lives of the women they serve. Metro Productions is a full-service video, film, and multimedia production company, established in 1981 in Williamsburg, VA. Metro has since grown to three locations in Virginia: Old Town Alexandria, Richmond, and Hampton. We work all over the U.S. and the world for our clients, anywhere production is needed. 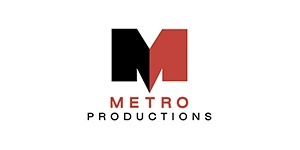 Metro Productions has over 30 full-time employees, including scriptwriters, producers, videographers, audio technicians, graphic artists, editors, and project managers. Our talented team members work together every day to ensure our clients receive the absolute best service and products. Ray Walsh, Metro’s President and CEO, retired as a LTC after 23 years in the US Army. Ray has led Metro for nearly 15 years, always with an eye towards supporting the US Military. We have worked with the Chief of Staff of the Army to help develop his external communications messaging. We have also teamed with US Army TRADOC, Cadet Command and Accessions Command. We have created products used to help recruit, educate and train today’s soldiers and tomorrow’s leaders. We have teamed with organizations such as the Army Women’s Foundation and The Command and General Staff College Foundation to support the great work that they do for our soldiers. Prudential’s support for the military and Veterans dates back to the founding of the company more than 135 years ago and remains strong today. Veterans are returning to civilian life by the tens of thousands, eager to apply their highly refined talents in sustainable careers. We recognize that this presents a challenge: how can we best cultivate those talents for the betterment of our nation, and for the lives of those who have served us? 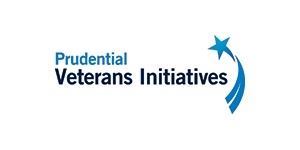 Prudential responded by creating its Veterans Initiatives. This program establishes not only a robust training and educational platform for Veterans, but a talent pipeline for our company as well. Prudential has proudly supported the U.S. Army Women’s Foundation since 2010. We salute the foundations strong educational scholarship programs and applaud the voice the foundation lends to Army women across the nation. By supporting outstanding organizations such as the Army Women’s Foundation, we are confident that we are helping to create a stronger network of support for this great nation’s Veterans and military personnel. SNC is a trusted leader in solving the world’s toughest challenges through advanced engineering technologies in Space Systems, Commercial Solutions, and Defense and National Security. 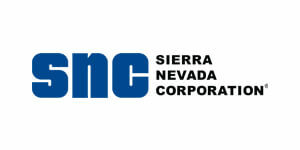 Recognized as one of the world’s top ten most innovative companies, SNC delivers tailored solutions to government and commercial customers in space, aviation, cyber, electronics and systems integration—including applications in telemedicine, navigation and guidance systems, threat detection and security, and infrastructure protection. Our drive to innovate for impact has fueled SNC’s steady expansion from our headquarters in Nevada to 34 locations around the globe. SNC is a team of 3,000 people—from scientists and cybersecurity experts to software engineers and former military leaders—united in support of our customers’ needs. Today, we are shaping the trajectory of space travel. Tomorrow, our technology could be redefining the standard for emergency care to service personnel on the battlefield. At SNC, the sky is not the limit. For more than 50 years, customers have turned to SNC for our technical expertise and our reputation for delivering results on-time and under-budget. We surpass the status quo by sourcing the best systems and talent, and reliably beating timelines and budgets. Adopting a true partnership approach, we work alongside our customers with 100% transparency. The result is an entrepreneurial, customer-centered focus that sets us apart in our industry. We are not your typical defense contractor. Anchored by our heritage, we innovate above and beyond for a better, safer world. Stars and Stripes salutes the women of the U.S. Army and congratulates the U.S. Army Women’s Foundation Hall of Fame honorees. As a news organization Stars and Stripes focuses on telling the story of our service men and women for the military community — and nobody does that as we do. Our decades-long and distinguished history of providing news, information and entertainment to the U.S. military community is one thing that sets us apart. Another distinction is that our professional journalists actually live and report from military bases around the world. They cover the Pentagon, Capitol Hill and the White House, too. Stripes content is also unique because it is published by a government organization operating as a free press, completely independent of censorship and control. Routinely noted for excellence by national media organizations, Stars and Stripes has received recognition from the George Polk Awards for Journalism, the Congressional Medal of Honor Foundation, National Headline Awards, Sigma Delta Chi, Military Reporters & Editors, and the Veterans of Foreign Wars. 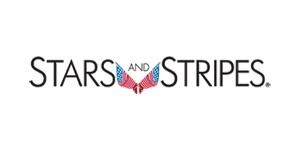 Available online at www.stripes.com, Stars and Stripes offers smartphone apps, e-mail newsletters and a Tablet Edition for iPad. At Walmart, we are grateful for the sacrifice our nation’s veterans, military men and women, and their families have made in service to our country. It is not only our duty, but our honor to support our men and women in uniform not only when they are on the battlefield, but also when they return home and transition to civilian life. We are committed to helping these men and women as they face this important period through job opportunities, as well as support for programs that provide the job training, transition support and education they may need. On Memorial Day 2013, Walmart demonstrated its continuing support of veterans with the launch of its Veterans Welcome Home Commitment. Walmart promised to offer a job to any honorably discharged U.S. veteran within his or her first 12 months off active duty. Walmart also projected that it would hire more than 100,000 veterans over five years, and we are well ahead of that, having hired over 77,000 veterans since Memorial Day 2013. Importantly, more than 6,000 of them have been promoted since joining the Walmart team. 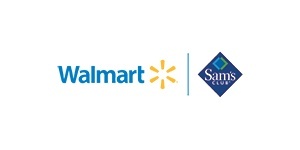 In 2011, Walmart and the Walmart Foundation committed $20 million by 2015 to support veterans and their families with assistance from programs that provide job training, transition help and education. With the early completion of the commitment in May of 2014, Walmart and the Walmart Foundation renewed their commitment, announcing an additional $20 million through 2019 to support veteran job training, education, and innovative public/private community-based initiatives that address the challenges many of our veterans face when returning to the civilian workforce and their communities. For more information, visit www.walmartcareerswithamission.com and www.corporate.walmart.com.